Norwich is a popular destination for tourists. Big ticket attractions include Norwich Cathedral, Norwich Castle, Colman’s Mustard Shop and The Forum. The city promotes its architectural heritage through the “Norwich 12”, which includes Norwich Castle, Cathedral and The Forum. The Theatre Royal is the largest in the city. It has been rebuilt and modified several times in its 250 year history. With 1,300 seats it hosts a mixture of national touring productions. There are a number of smaller theatres, notably the Norwich Playhouse which opened its doors in 1995 and has a seating capacity of 300. 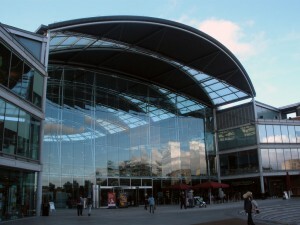 There are plenty of permanent fixtures in The forum including the Millennium Library, The Forum Shop and The TV and Movie Store, which is appropriate as BBC East have a presence in the building. There is also a great Pizza Express upstairs where you can sit and watch Norwich life go past St Peter Mancroft Church via the extensive glass frontage and during the summer there is usually live entertainment outside. Museums can be a bit hit and miss with families but in our opinion Norwich Castle Museum strike a good balance. There is plenty of information for the grown-ups to digest and hands-on interactive exhibits for the kids. The museum allows visitors to experience what a medieval castle and dungeon would have functioned. A showcase of agriculture, animals, local produce and refreshments. The duck race, on behalf of Break Charity, runs between St George's Bridge, downstream to Fye Bridge, ending at the Ribs of Beef public house. The individual duck race starts at 3.00pm and the corporate race (with larger, decorated ducks) starts a little later at 3.20pm. Ducks can be sponsored for £2, or you can turn up to cheer the ducks along!